A 29-year-old youth from Imphal, Manipur, recovering at a local hospital, has claimed he was brutally thrashed and humiliated by his employers in an alleged racist attack. The employers, who accused the youth of stealing company data, however, denied the claim. According to the FIR filed by Udyog Vihar police station, the victim, Romen Abrambam, who lives in Delhi's Mahipalpur, was called by his manager Abhimanyu Madan on January 13, in the presence of CEO Puneet Kumar and Deepak, co-owner of his employer TGS IT Solution, and questioned about data theft. Abrambam said he had only joined in November, 2016, and while other employees also had access to the same data, "he was singled out unnecessarily". "My phone was confiscated (company's policy in such cases). I was taken to a colleague's home in Delhi and then brought back to the office and humiliated in front of other employees," Abrambam said. He added "four bouncers" were called to beat him up. 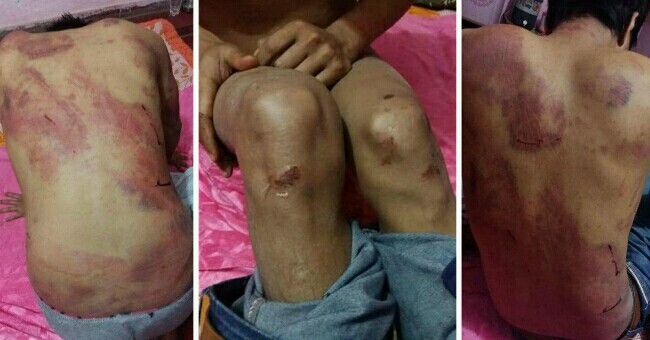 "I was kicked with shoes, stripped and beaten mercilessly by the bouncers and other people. The onlookers made videos. They kept asking me to reveal who had stolen the data. I fell unconscious," he said. According to Abrambam, he was later taken to Neelkanth Hospital in DLF Phase 3, where the employers tried to convince him not to reveal he was thrashed. "The manager told doctors I fell down the stairs. Without being examined, I was given an injection and discharged," he alleged. After visiting the trauma centre at AIIMS the next day for further treatment, Abrambam said he contacted Delhi Police's northeast helpline, who referred him to Gurgaon police. An FIR has been registered under sections 147, 149, 323 and 506 of the IPC, against seven persons. The accused have not been interrogated yet.